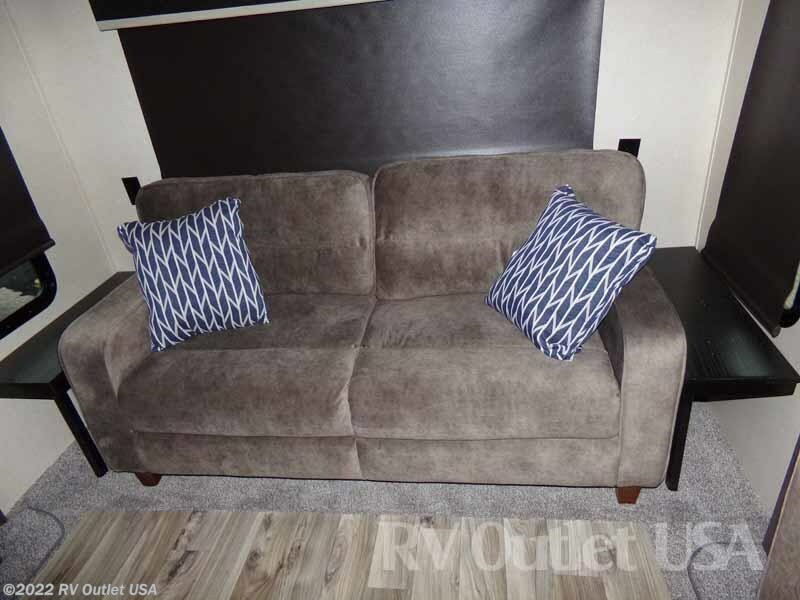 THEATER SEATS ** SOLID SURFACE ** ELECTRIC FIREPLACE! 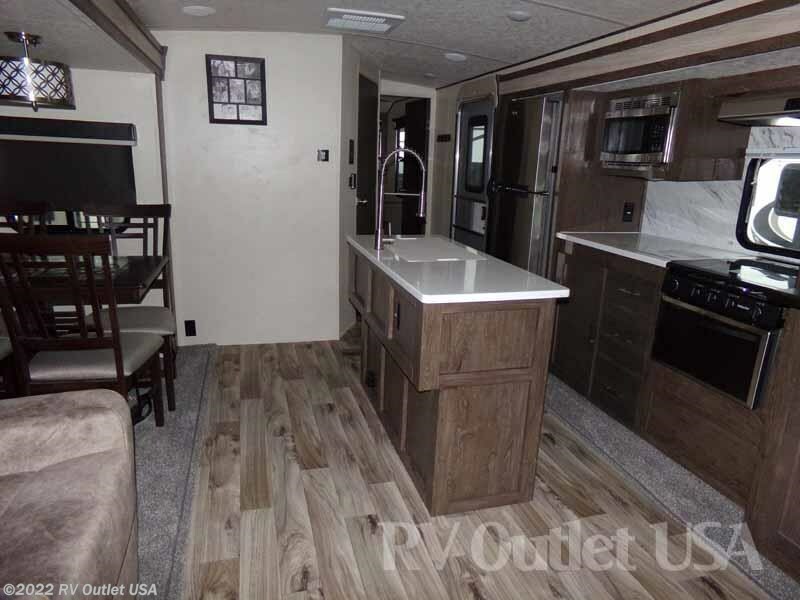 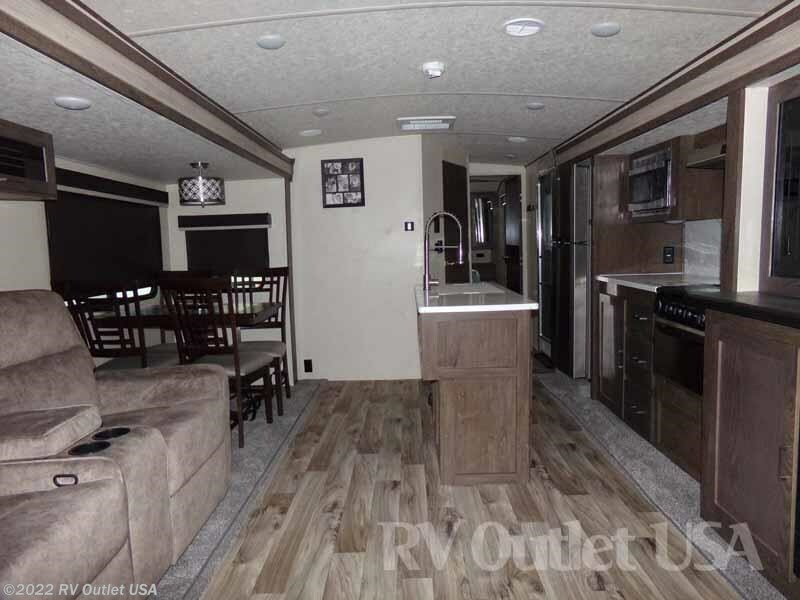 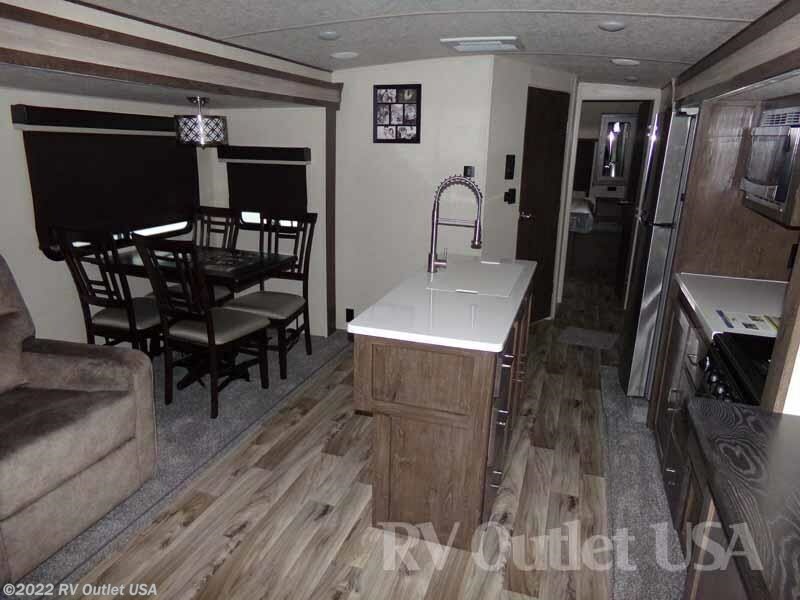 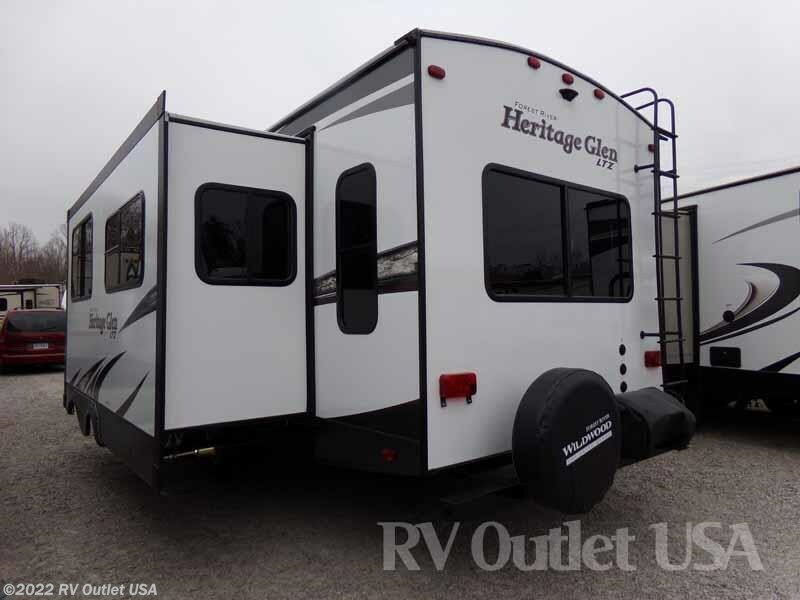 Introducing one of Forest River Heritage Glen's brand new rear lounge travel trailer floor plans! 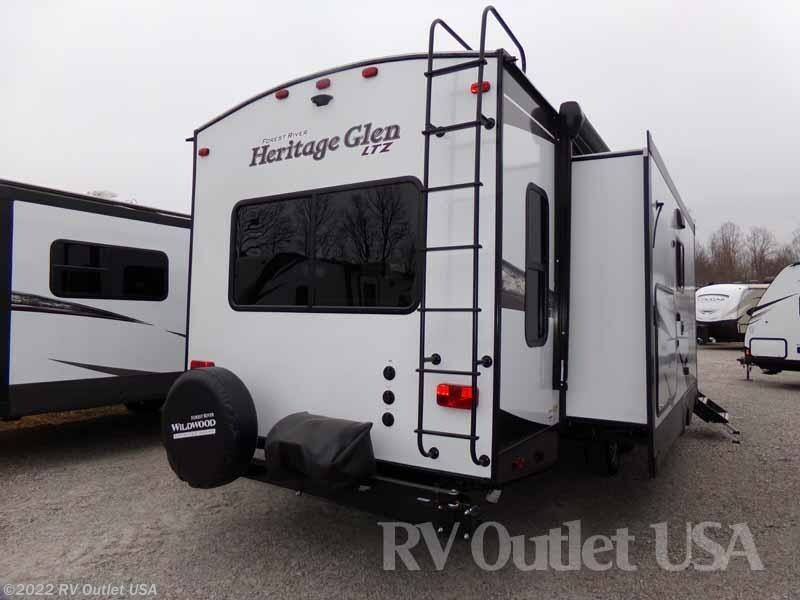 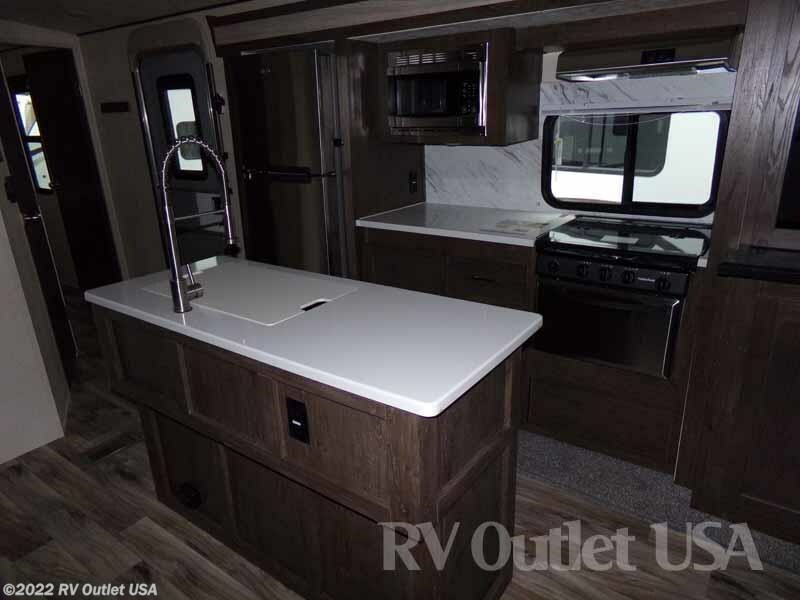 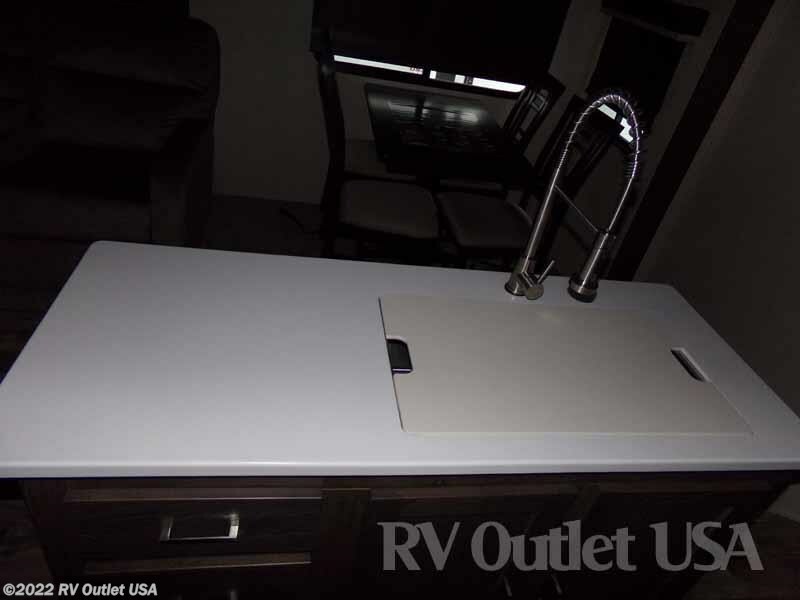 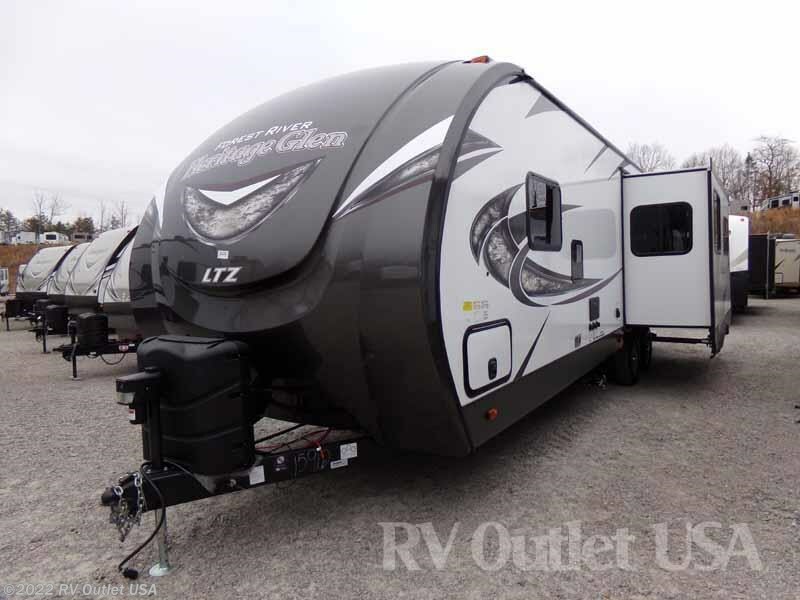 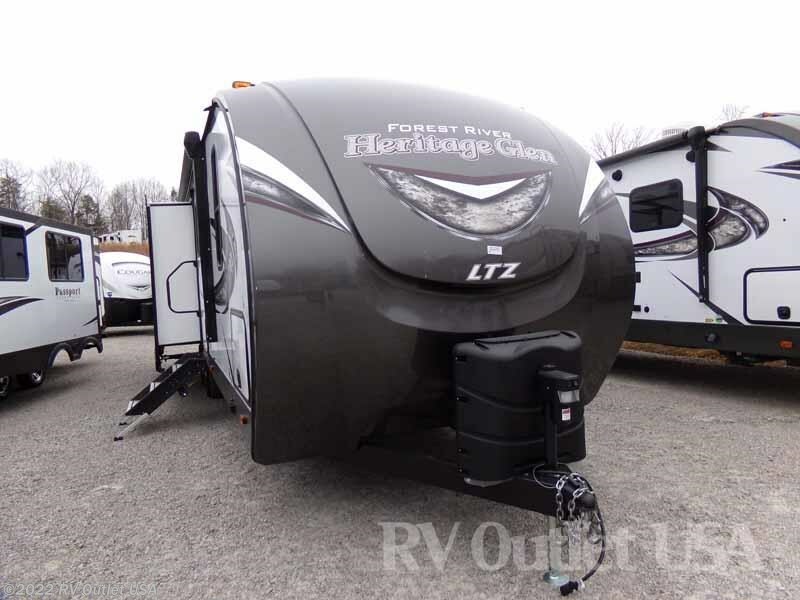 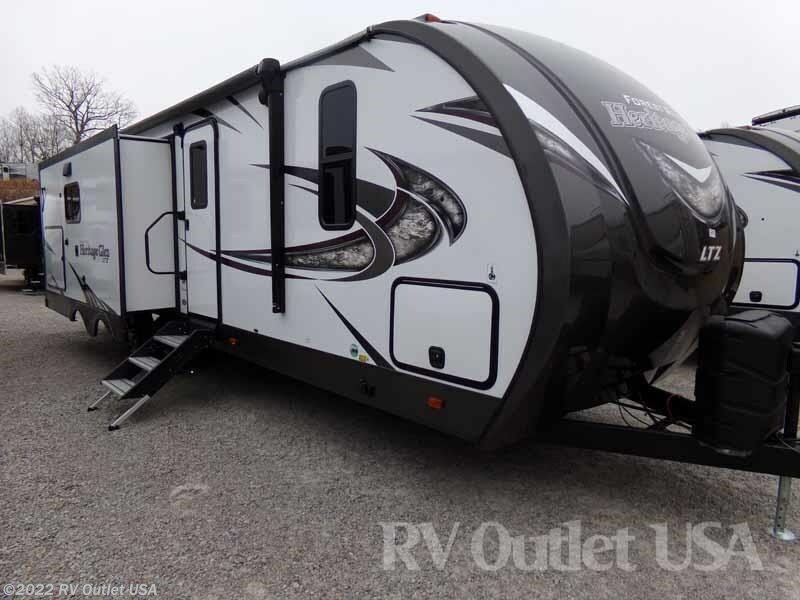 The 2018 Wildwood Heritage Glen 272RL which is a double slide ultralight travel trailer that weighs only 7,294lbs and it's loaded with options such as solid surface counter tops, a 10.7 cu ft residential style refer, an outside kitchen, fireplace and so much more! 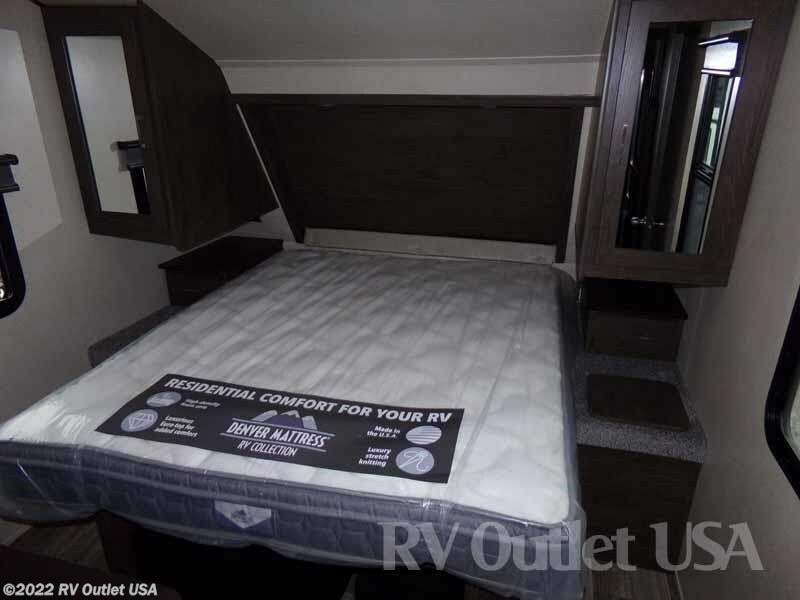 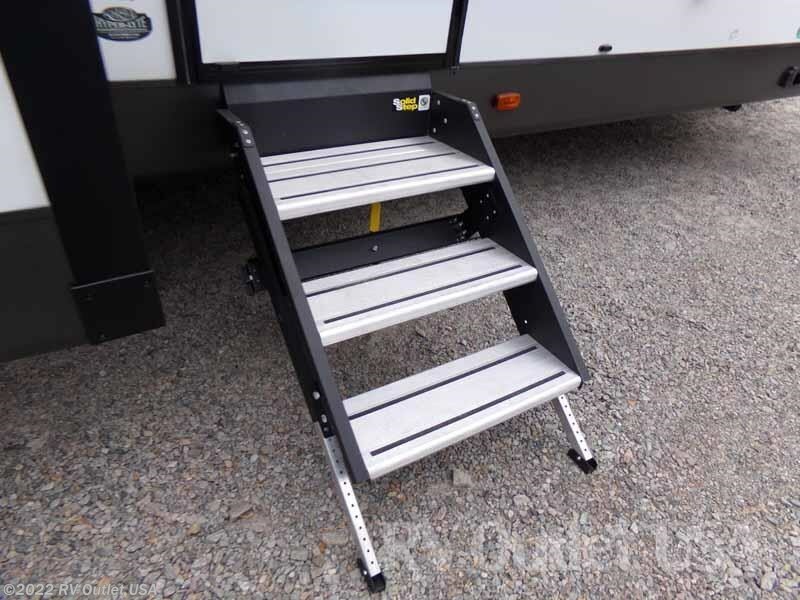 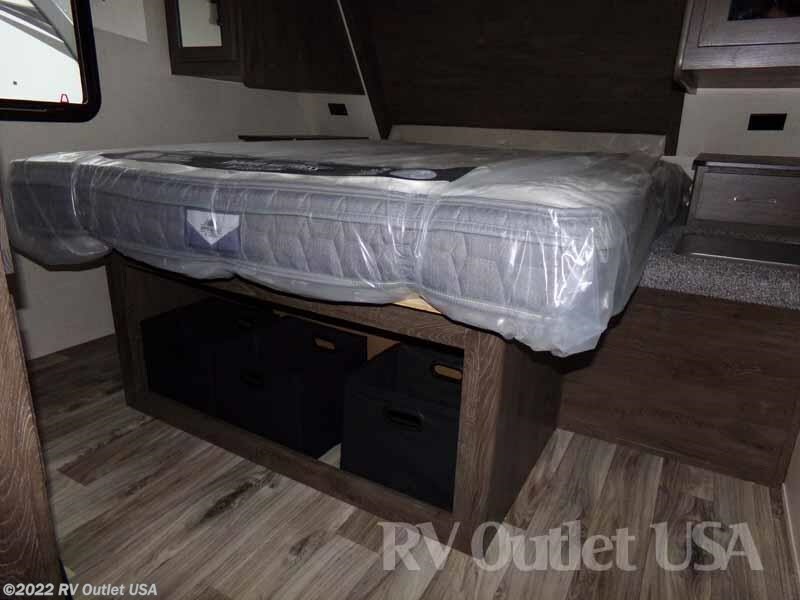 This travel trailer has a walk around queen bed in the front with underneath storage, a laundry chute, (2) night stands on each side of the bed, and over head cabinets! 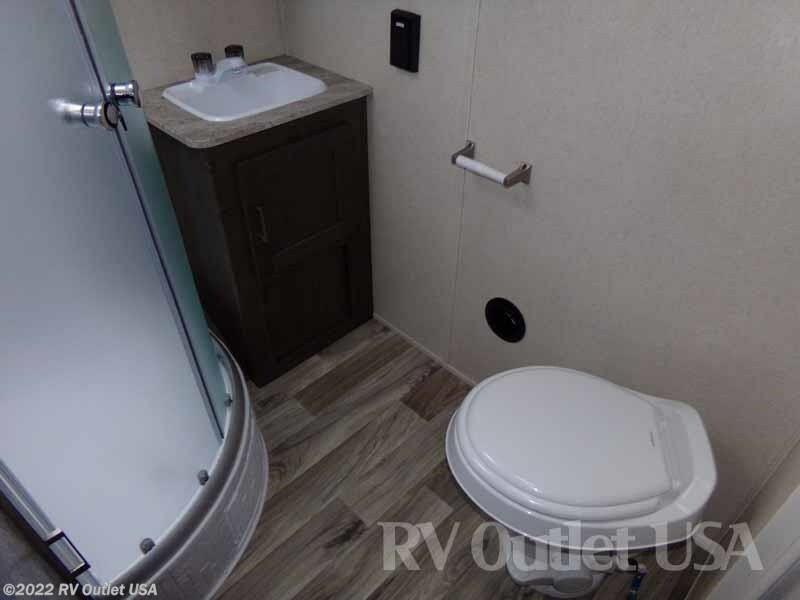 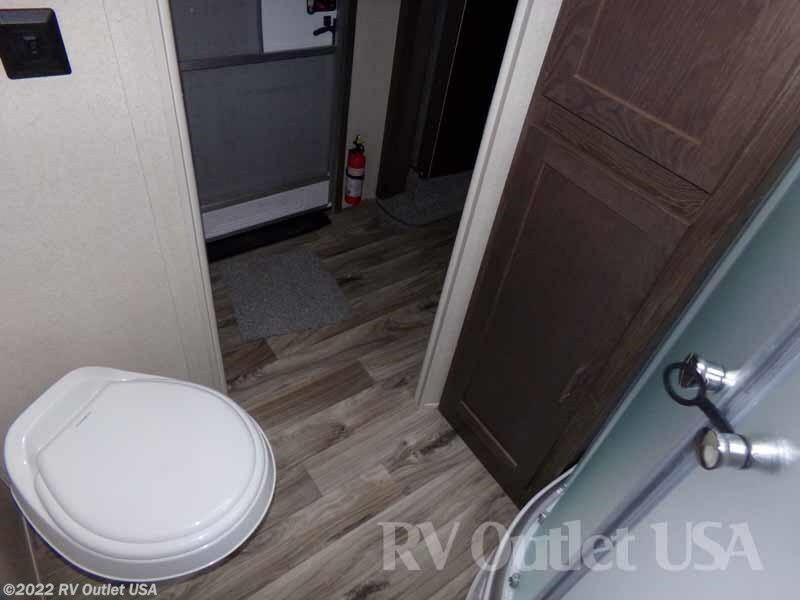 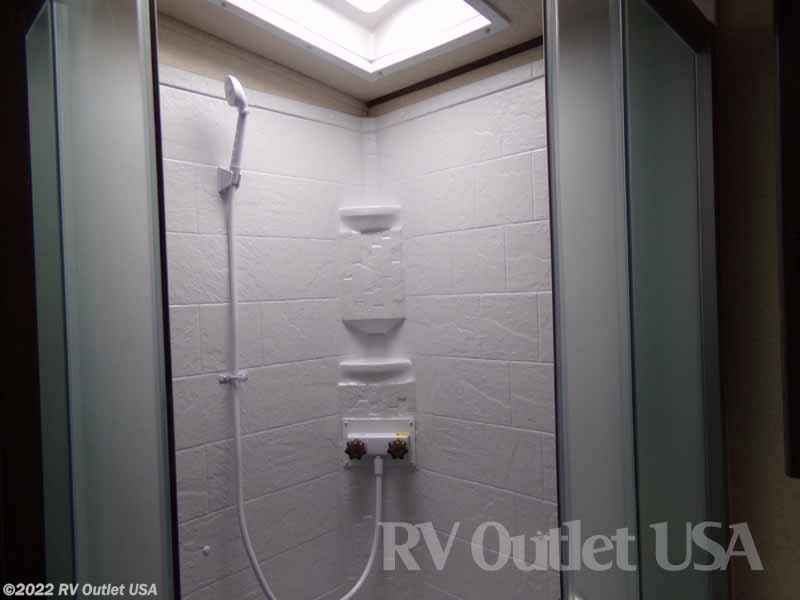 It has a side aisle bathroom with the radius shower with glass surround, a linen closet, sink with underneath storage, a lighted medicine cabinet, and a foot flush toilet. 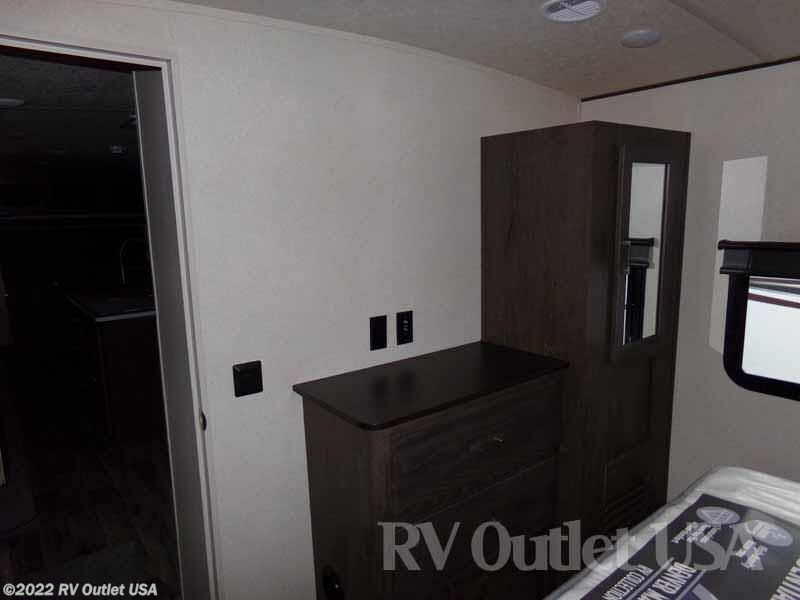 The living area of this coach is huge because of the two opposing slides. 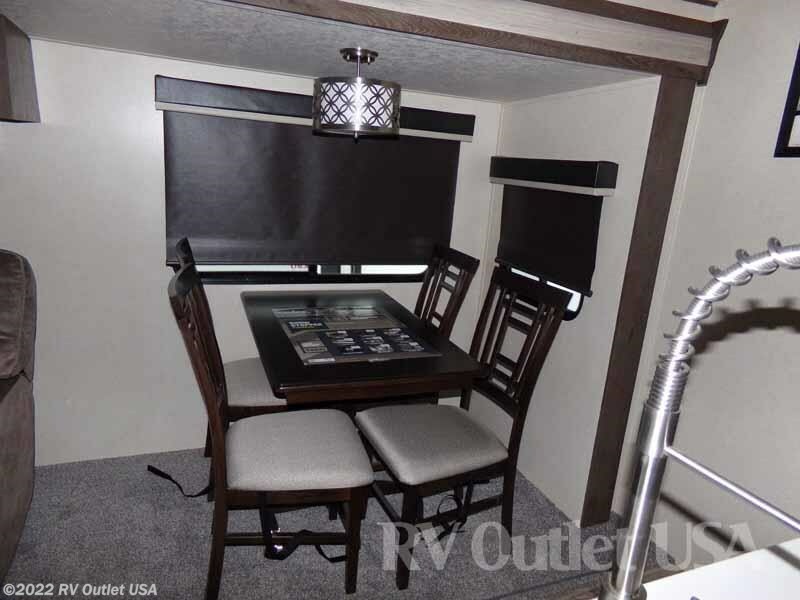 The slide on the off door side has the freestanding table with four chairs and beside that, the super cool theater seats which face the TV perfectly! 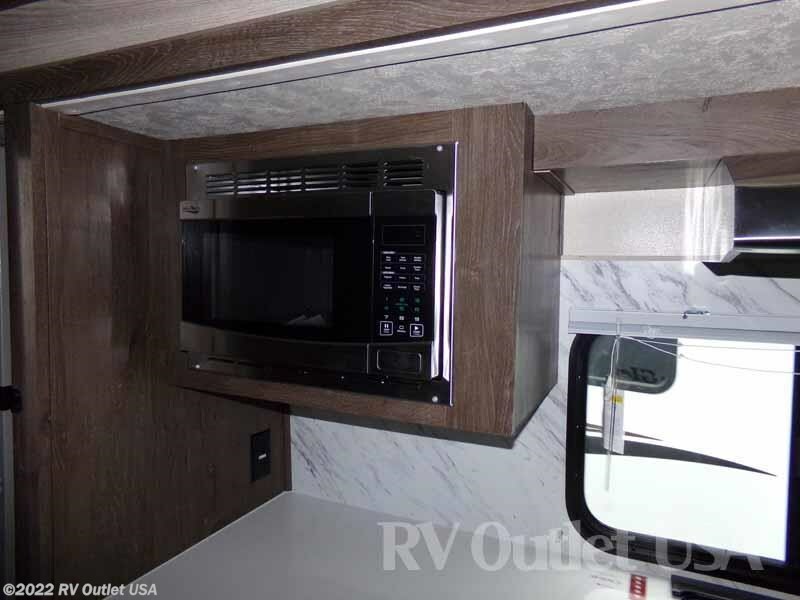 Across from that is another super slide with a full galley towards the front which has a recessed (3) burner stove top with glass cover, and oven, an overhead microwave oven with exhaust hood, and the upgraded 10.7 cu ft residential style refer. 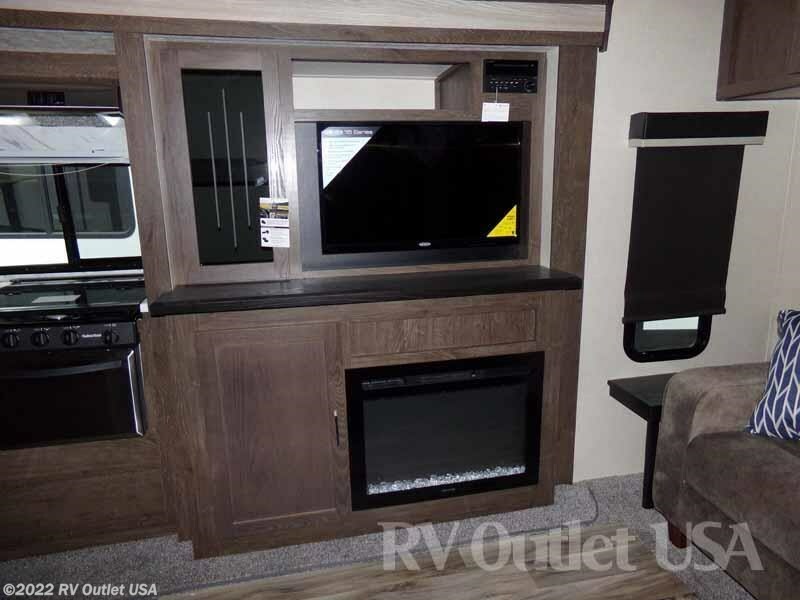 Beside the kitchen is the entertainment center which has an LCD TV, the new Furrion FM/CD/DCD player with Bluetooth and below that is the electric fireplace. 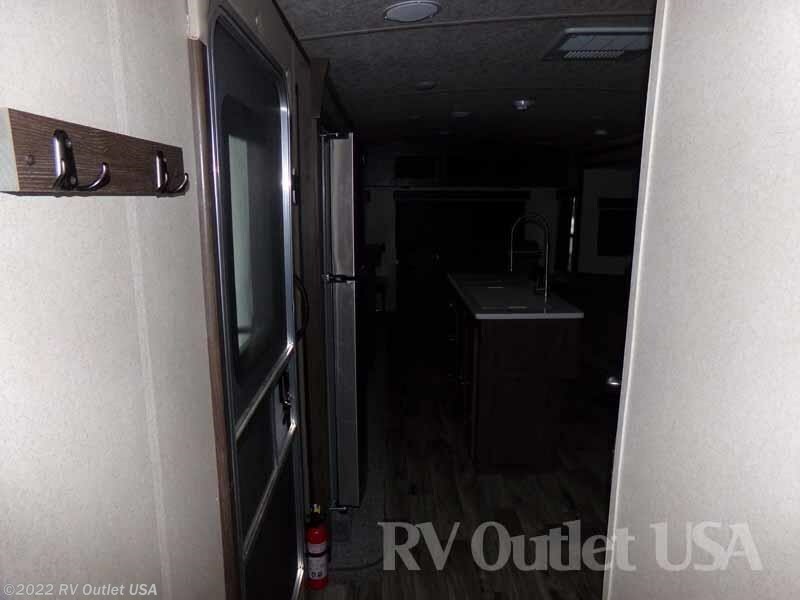 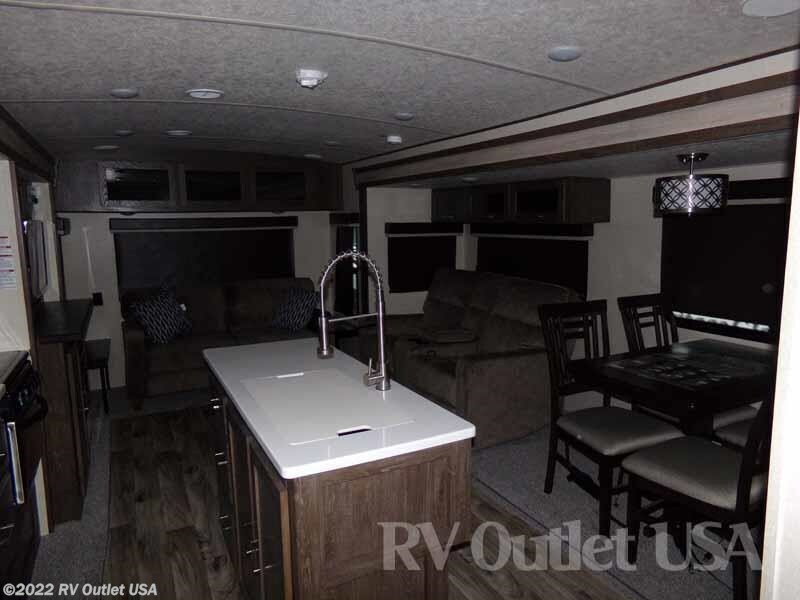 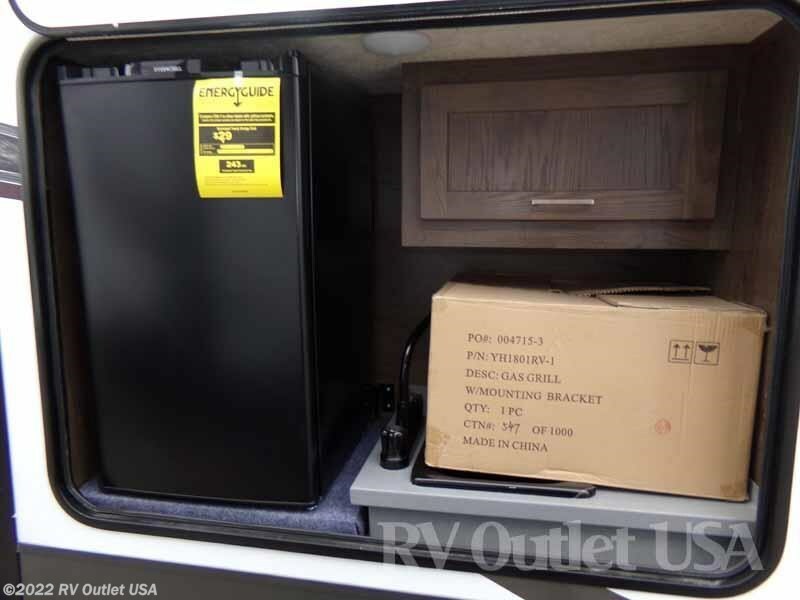 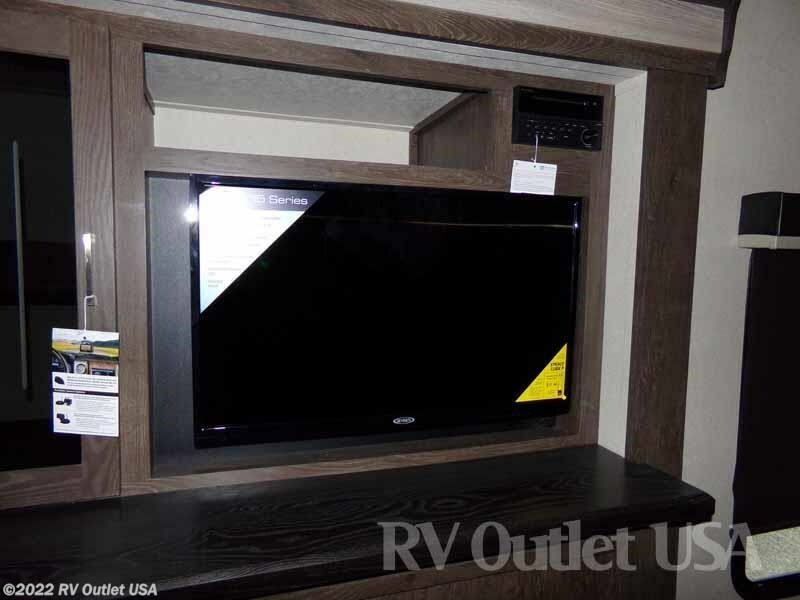 In the rear the coach is a Tri-Fold hide-a-bed sleeper sofa with end tables on both sides and it also has a kitchen island with solid surface counter tops with storage below and a double stainless steel sink. 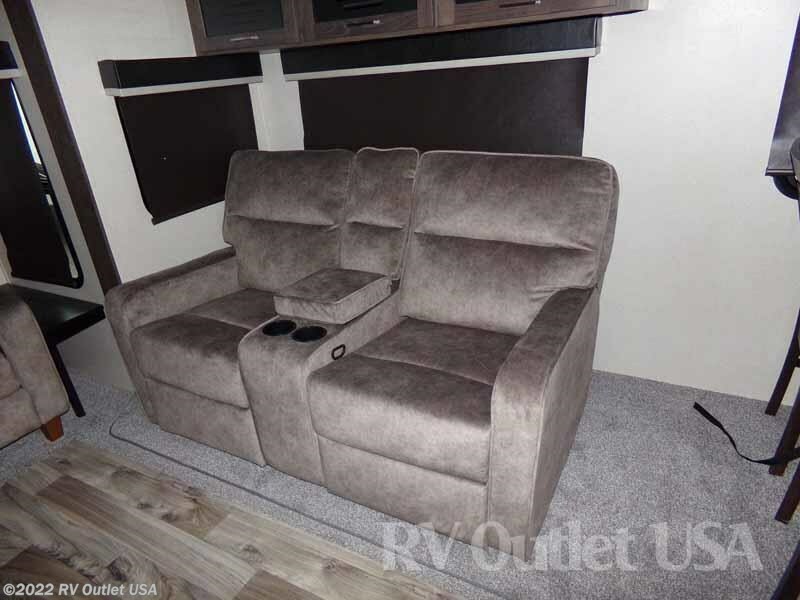 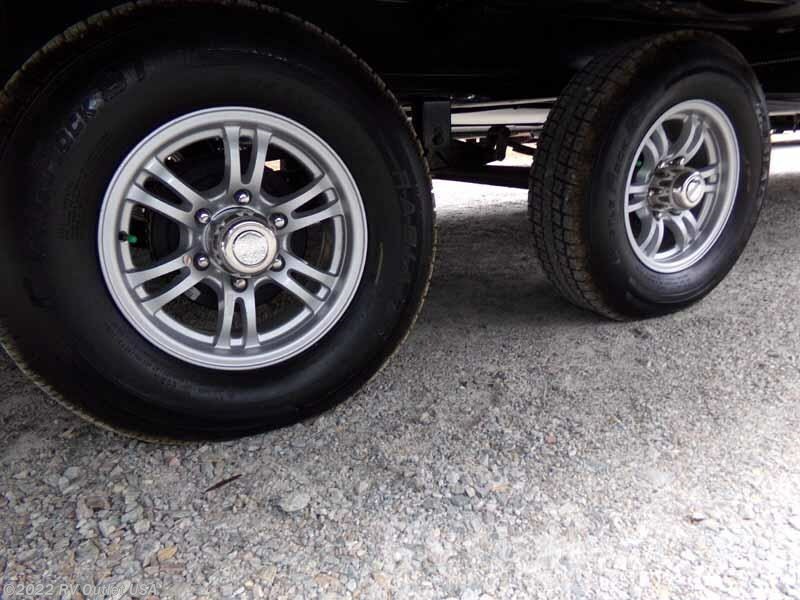 This is a very nice coach with a ton of nice features and options here's a list. 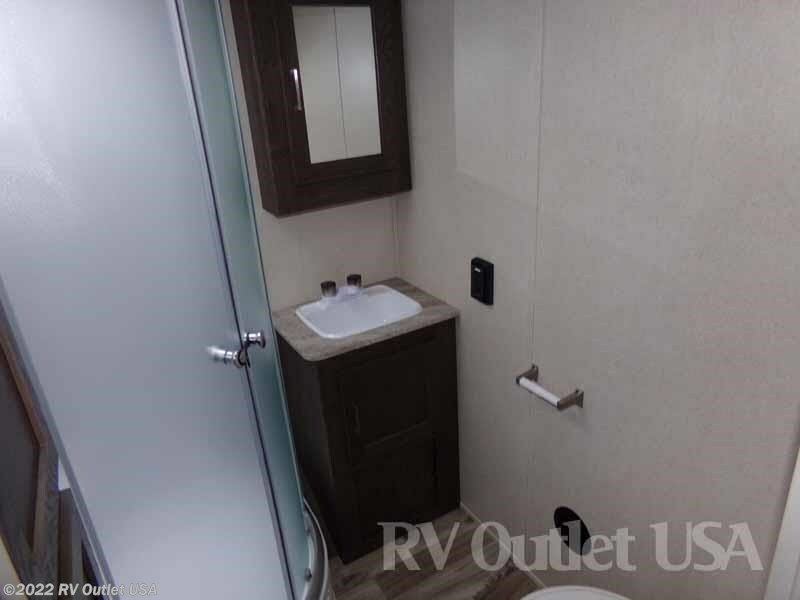 The interior color is Milan. 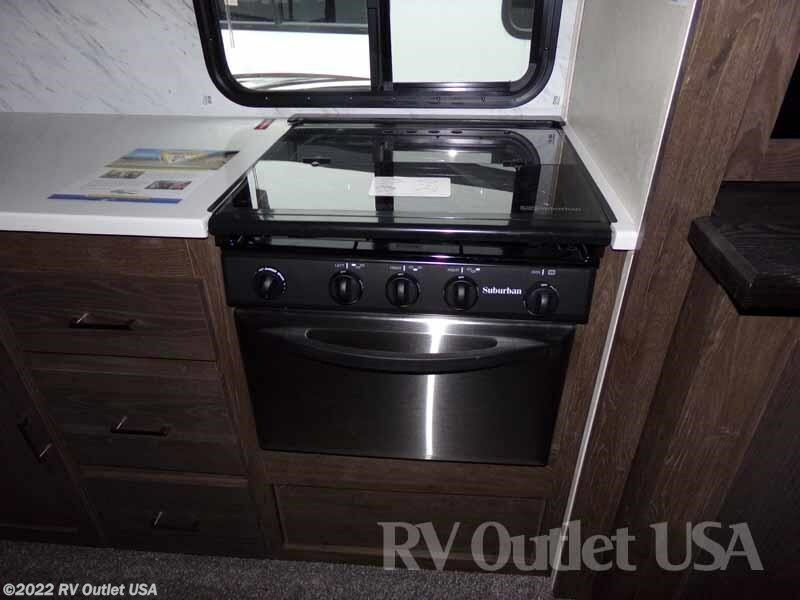 It has the new White exterior, the Extreme Weather package, an enclosed and heated underbelly, the stainless steel kitchen package, pleated shades, aluminum wheels, a black tank flush, the high rise faucet in the kitchen, a central switch center, a stainless steel under mount sink, a recessed stove with glass cover, LED awning lights, LED interior lights, LED counter top accent lights, the Furrion FM/CD/DVD player with Bluetooth, and it has the push button remote system! 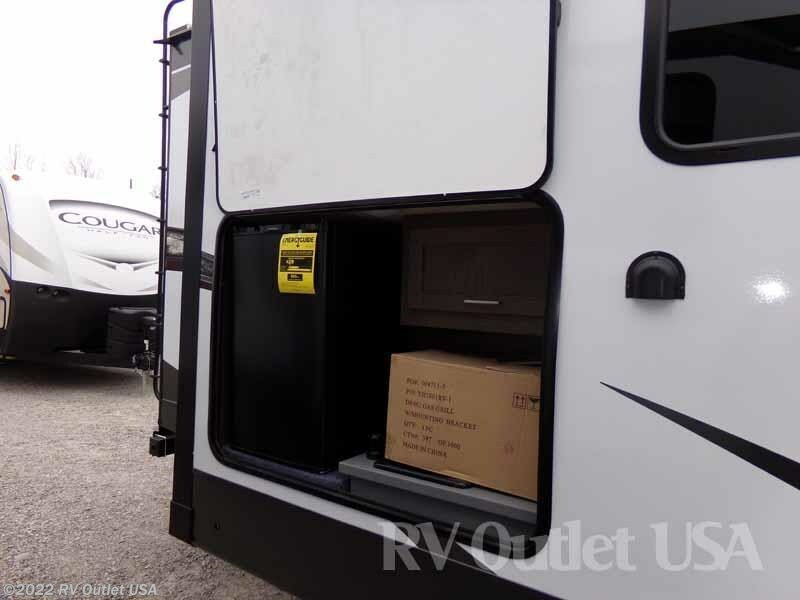 Additional options are, power stab jacks, a power tongue jack, a power awning, it has the Furrion Solar panel prep, the Furrior back up camera prep, a Skylight in the bathroom, a spare tire and carrier, an outside shower, a huge exterior kitchen, a rear ladder, the 10.7 cu ft residential style refer, solid surface counter tops, 50 amp service with a 15K BTU A/C, the upgraded Theater seats, a free standing dinette with (4) chairs, a fireplace, and all the safety equipment.